Every year, billions of dollars in settlement funds are distributed to eligible shareholders as a result of securities class action lawsuits. Institutional investors hold fiduciary responsibility to keep up to date on lawsuits involving investments they made on behalf of their clients. 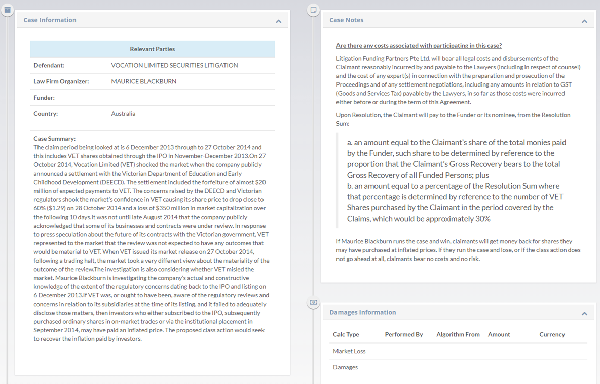 But, securities class action claims filing is complex and resource intensive. Errors and omissions frequently occur at each stage of the process. As a result, many institutional investors fail to file or improperly file their claims, resulting in nearly 1/3 of all claims being dismissed before a settlement can be reached. Each year, 65 percent of available funds, totaling billions of dollars, have gone unclaimed due to missed opportunities by institutional investors. 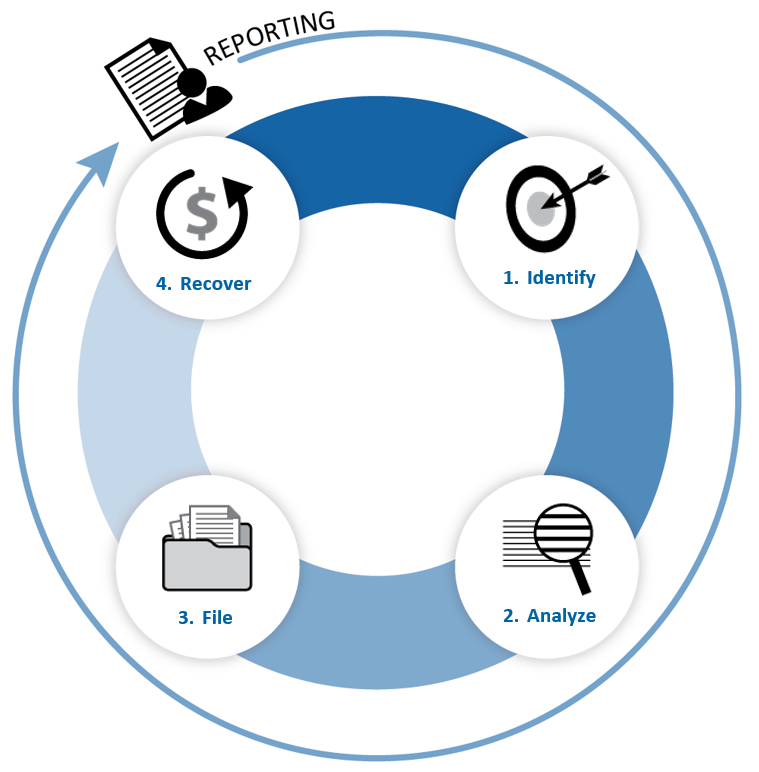 Financial Recovery Technologies’ class action services can manage the claims filing process from start to finish, ensuring that each step is efficiently handled by a team of securities class action experts. FRT’s recovery services turn the administrative burden of securities class actions into maximum returns for investors. 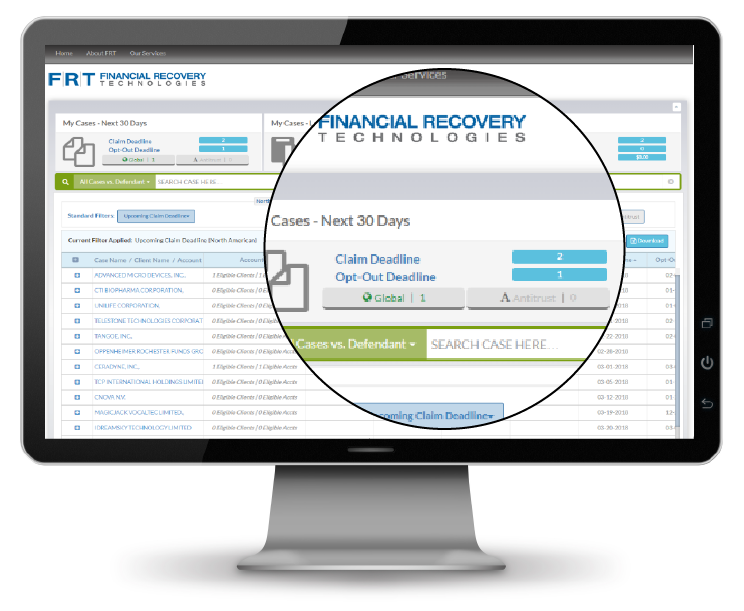 The FRT's Client Portal provides a single view into your firm’s Class Action Eligibility, Filing and Recovery status. Drill down for more details on specific cases including case summary, damages information, relevant parties and more.